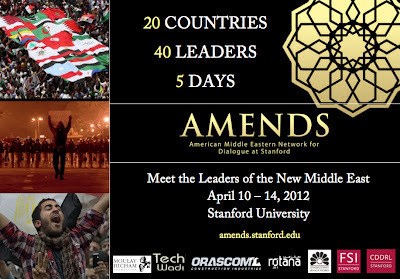 The AMENDS (American Middle Eastern Network for Dialogue at Stanford) Summit at Stanford University brought leaders from all over the Middle East and United States to the Stanford University campus for a five-day conversation on leadership and the future of the region in the wake of the Arab Spring. 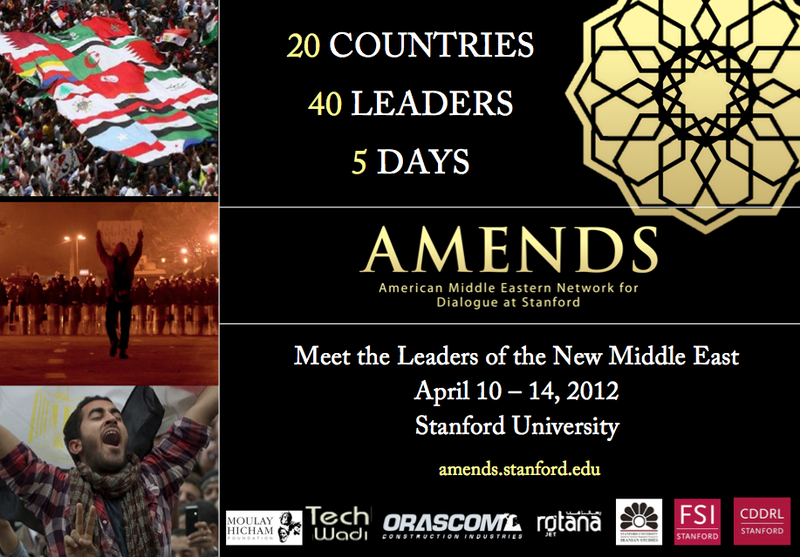 AMENDS is a student-led initiative that seeks to connect and empower youth leaders from the Middle East, North Africa and the United States. 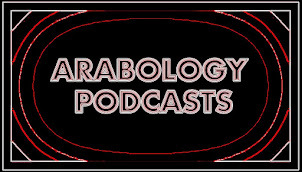 Responding in part to the protests and revolutions sparked in 2011, two undergraduates were inspired to create a program that would foster increased dialogue and understanding between the United States and countries across the Middle East. 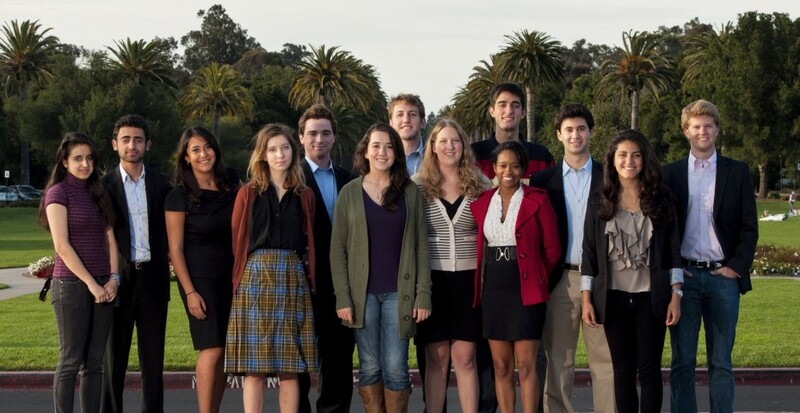 Since then, AMENDS has grown into a diverse team of Stanford students who hail from all across the world. AMENDS is currently in its first year and it is sponsored by the Center on Democracy, Development, and the Rule of Law at Stanford. Day 1 of the AMENDS Summit began on Wednesday April 11, 2012 and was titled “Technology, Social Media, and Innovation” and featured an impressive array of speakers including Aymen Abderrahman, Selma Chirouf, Rawan Da’as, Elizabeth Harmon, Sonya Kassis, Heather Libbe, Ifrah Magan, Sam Adelsberg, Brian Pellot, George Somi. Day 2 (Thursday April 12, 2012) addressed “Building Civil Society” and included AMENDS Talks Speakers Firyal Abdulaziz, Lubna Alzaroo, Hoor Al-Khaja, Ali Al-Murtadha, Jessica Anderson, Seif Elkhawanky, Micah Hendler, James Hurley, Ram Sachs and Rana Sharif. Day 3 (Friday April 13, 2012) broached issues related to “Peace and Conflict Resolution” and included Sherihan Abdel-Rahman, Sherif Maktabi, Mohammad AlJishi, Abdulla Al-Misnad, Yahya Bensliman, Ilyes El-Ouarzadi, Sandie Hanna, Priya Knudson, Megan McConaughey and Gavin Schalliol. Also featured were Speakers/Panelists Sami Ben Gharbia (Tunisian political activist, Foreign Policy Top 100 Thinker), Professor Allen Weiner (Co-Director of Stanford Univeristy Center on International Conflict and Negotiation), Thomas T. Riley (Former Ambassador to Morocco) and Radwan Masmoudi (Founder and President of the Center of the Study of Islam & Democracy). Day 4 (Saturday April 14,2012) was billed as “The New Middle East” and showcased speakers Firas Al-Dabagh, Abdullah Al-Fakharany, Marwan Alabed, Cole Bockenfeld, Nadir Ijaz, Selma Maarouf, Matthew Morantz, Alaa Mufleh, Fadi Quran, and Nada Ramadan. Speakers/Panelists were Rami Khouri (Director of the Issam Fares Institute for Public Policy and International Affairs at the American University of Beirut), Huda Abu Arqoub (Co-Executive Director of Abraham’s Vision), Professor Aaron Hahn Tapper (Co-Executive Director of Abraham’s Vision), Nasser Weddady (Civil Rights Outreach Director, American Islamic Congress) and Ahmed Benchemsi (Moroccan journalist and pro-democracy activist whom I interviewed earlier last year on my radio show Arabology--click here to listen). The success of AMENDS is primarily due to its Executive Team which is comprised of Elliot Stoller (Co-Founder, Co-President,Chicago, IL), Khaled Alshawi (Co-Founder, Co-President,Saar, Bahrain), Meredith Wheeler (Co-President,Fort Collins, CO), Matthew Colford (Director of American Outreach,Palo Alto, California), Misha Nasrollahzadeh (Director of Conference Management and Programming,Bloomfield Hills, MI), Marwa Farag (Deputy Director of Conference Management and Programming, Abu Dhabi, UAE/Cairo, Egypt), AJ Sugarman (Director of Mentorship Program, Beverly Hills, CA), Imani Franklin (Director of Recruitment and Delegate Relations, Atlanta, GA), Otis Reid (Advisor, Stanford in Government Chair,Chapel Hill, NC), Sahar Khan (Advisor, Co-founder of Avicenna, Stanford Journal on Muslim Affairs, Muscat, Oman), Mariah Halperin (Director of Social Media and External Relations ,San Francisco, CA), Yassamin Ansari (Director of Marketing, Scottsdale, AZ), Izzah Farzanah (Bander Seri Begawan, Brunei), Ariella Axler (Atlanta, GA), Shannon Schweitzer (New Orleans, LA), Adnan Razzaque (Oak Lawn, IL), and Perth Chaternwattangaul (Bangkok, Thailand). To read more about the AMENDS leadership, click here. The AMENDS Board of Advisors is equally impressive, featuring Professor Coit Blacker, Professor Larry Diamond, Prince Moulay Hicham ben Abdallah, Dr. Lina Khatib, Professor Abbas Milani and Judge Abraham Sofaer. To read more about AMENDS’ board of advisors, click here. To read more about the AMENDS leadership, click here. To read more about AMENDS’ board of advisors, click here.